Centers on the egocentric actress Audrey Langham and her family which consists of a daughter she has not spent quality time with in years. 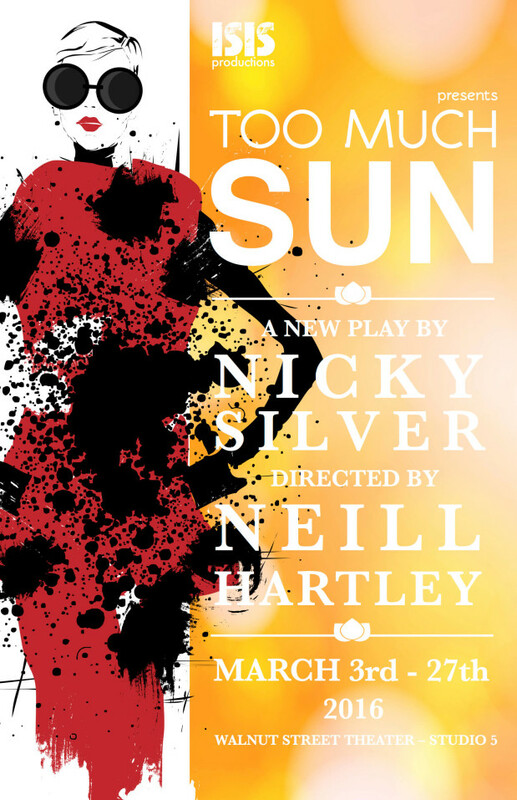 Audrey has a meltdown on the stage and decides to give it up and live with her daughter and her husband Dennis in their summer house on Cape Cod. There, secrets are revealed as the young neighbor, gay pot dealing son Lucas and his father begin spending more time with the family. Surprised by Audrey’s assistant Gil, the family has more unraveling. There is comedy and drama and surprises as everyone stops acting and become who they truly are. In Donald Margulies’ riveting play Collected Stories, an innocent meeting between mentor and student evolves into something quite adversarial. Ruth Steiner is an established writer and professor. Lisa Morrison is a graduate student and aspiring writer. 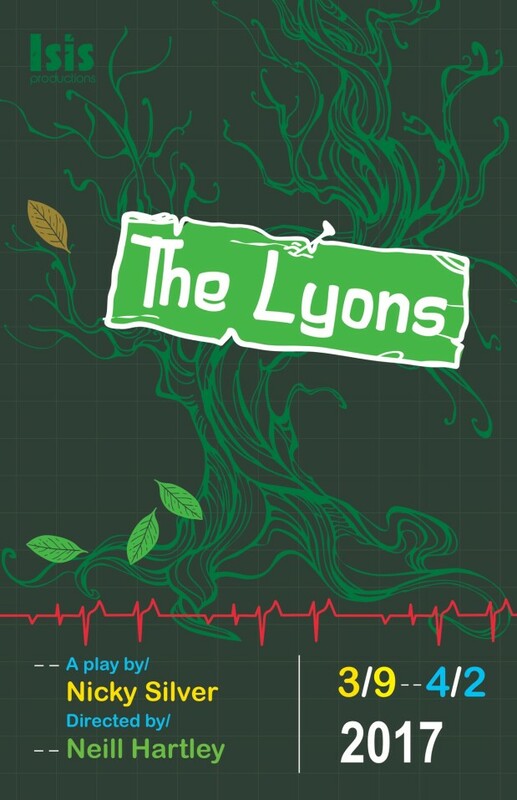 Their worlds clash in an emotional roller coaster of age, artistic license, and betrayal. Our private stories are sacred, aren’t they? 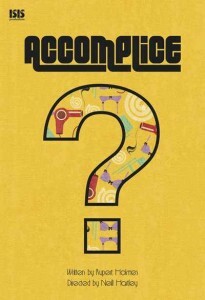 Accomplice: where nothing is quite what it seems. A devilishly-clever thriller that takes the audience on a thrill ride of plot twists and turns guaranteed to keep you guessing until the end. Winner of an Edgar for Best Play, Accomplice springs from the mind of Rupert Holmes, the writer behind the Tony-winning mystery The Mystery of Edwin Drood. – Pasadena Star NewView pictures from our performances of Accomplice! 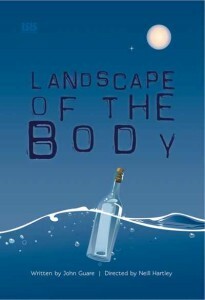 Landscape of the Body is a witty and gritty thriller by John Guare, the author of The House of Blue Leaves and Six Degrees of Separation. A childlike woman comes to New York and searches for her own identity amidst a landscape of destruction and loss. Part comedy, part mystery, and part vaudevillian musical, Landscape of the Body is a vibrant and unsettling portrait of the untold American experience. It will keep you on the edge of your seat! View pictures from our performances of Landscape of the Body! 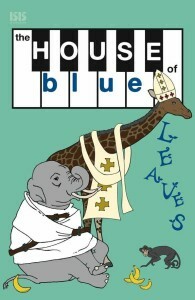 The House of Blue Leaves is a zany comedy centered on the day the Pope made his visit to New York City in 1965. The play’s author, John Guare, uses his characters to accentuate the elusive search for fame, and also begs the question: What is normal? Every wonderfully wacky character, from Artie to Bunny, to Bananas to Ronnie, to Billy to Corinna, and to a group of crazy nuns, are all searching for that ambiguous something that fame represents. They make us question: Which of these characters are really normal? And the question continues to linger at the end of the play. But, what is normal? In today’s world of reality television, creating fame out of normal people makes The House of Blue Leaves more relevant now than ever before! View pictures from our performances of House of Blue Leaves! It is 1979. Esme Allen is a well-known West End actress at just the moment when the West End is ceasing to offer actors a regular way of life. The visit of her daughter, Amy, with a new boyfriend, Dominic, sets in train a series of events which only find their shape sixteen years later. 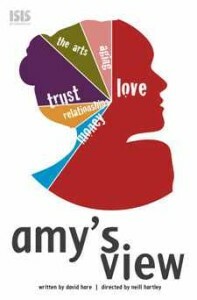 View pictures from our performances of Amy’s View! It is November 1938 in Brooklyn, New York. Sylvia Gellberg has mysteriously become paralyzed from the waist down. Dr. Hyman tries to get to the root of the problem. 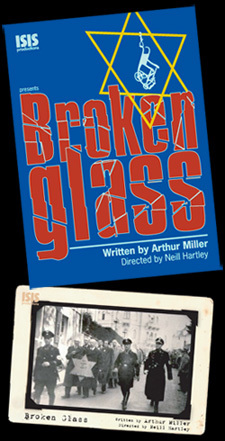 Arthur Miller starts to peel away the layers of the characters lives in this exploration of what it means to be American and Jewish in 1938. View pictures from our performances of Broken Glass! Copyright © 2015 Isis Performs. All Rights Reserved.